You can’t tell me that at this time of year you wouldn’t love to light some candles, make yourself your own pumpkin spice latte and snuggle up on the couch with a big warm blanket; to me that’s basically what autumn is all about. If you’re looking for some perfect comforting autumn scents you should check out The Autumn Collection from Colonial Candle. 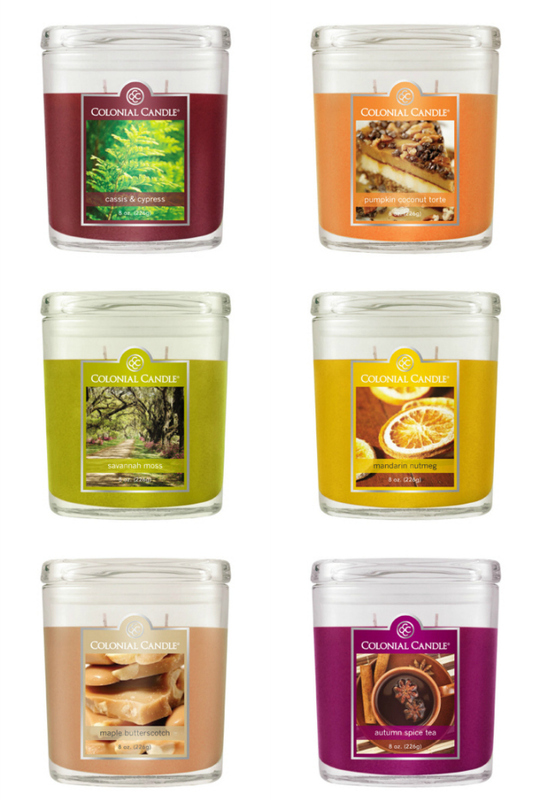 Cassis & Cypress, Pumpkin Coconut Torte (yummy), Savannah Moss, Mandarin Nutmeg, Maple Butterscotch (yummy, yummy, yummy!) and Autumn Spice Tea. They have lots of sizes, styles and scents to choose from so you’re bound to find something you love; I personally want them all!